This is another shot from Xi’an. I enhanced the colors of the sky. 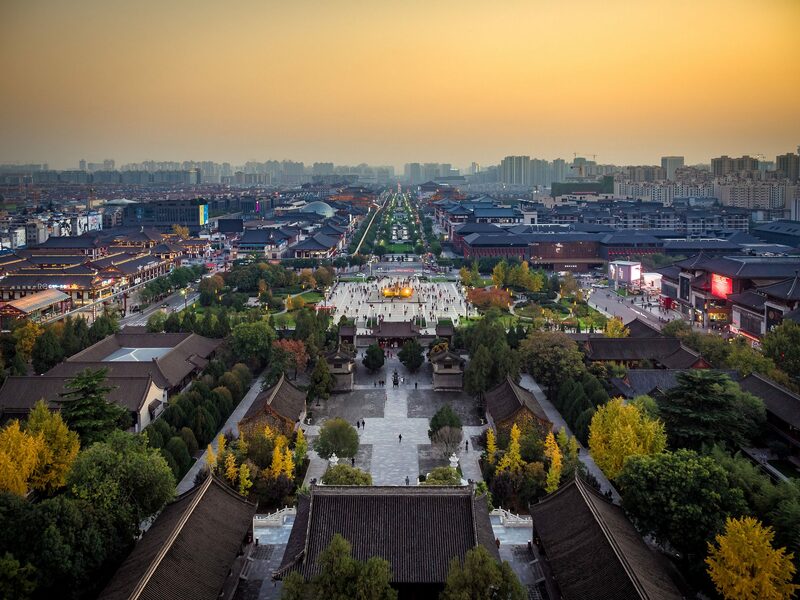 Actually Xi’an is a very desaturated city. Not only air pollution is a problem, but also dust that blows from the nearby plateau through the surrounding mountains. So when there is a nice autumn day with clear sky, the city feels like it blossoms. I wanted to capture this feeling.